Bondville: Let's fund Tickle The Imagination magazine! Let's fund Tickle The Imagination magazine! Lovely Tanya from Tickle The Imagination magazine is raising funds to publish the next issue. 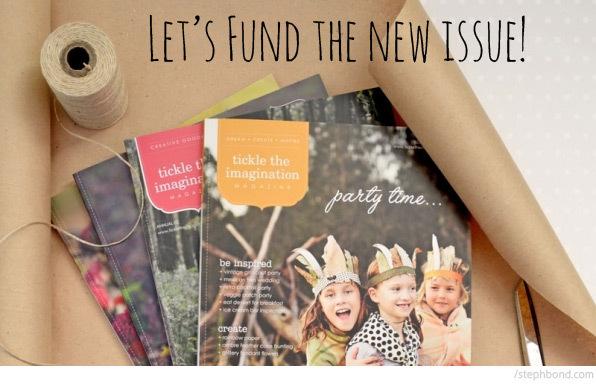 If you love craft, handmade, fun ideas for kids, and supporting indie Australian publishing and media, head over to Pozible before the 8th September 2014 to make the new issue happen - they're half way there!